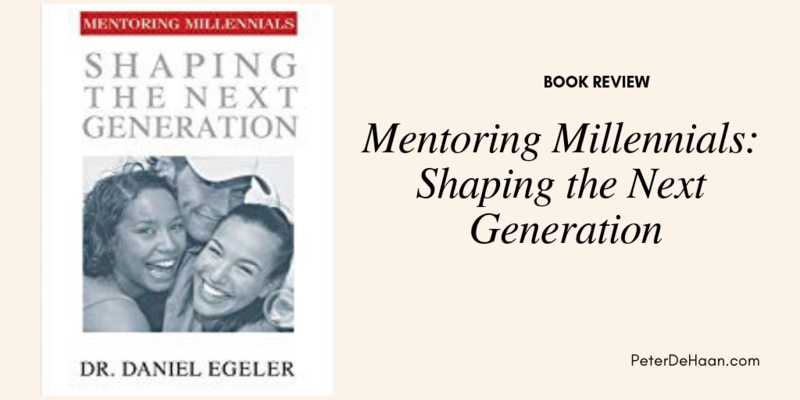 The book opens with a compelling call to leave a legacy via mentoring Millennials, “the next generation.” Egeler captures readers’ attention and inspires vision by spelling out the details of the hugely untapped potential of Millennials – and points out the substantial peril of ignoring this nascent generation at risk. This dichotomy is brought into perspective with a clear summary of what it is to be post-modern, offering a candid, yet insightful interpretation of the post-modernal mind-set, perspective, and priorities. Truly, the post-modern Millennial is a generation with great promise and even greater need; they are the future and deserve the focused attention of today’s mentors. Egeler follows with a concise summary of Stanley and Clinton’s mentoring model. He then discusses each methodology, replete with personal experiences that are convincingly illustrated in light of the post-modern Millennial via his compelling story telling ability.